Survey work and condition reports including flow rate and pressure drop measurement. Detailed system and pipework design. Design of primary/secondary and multi-circuit systems. 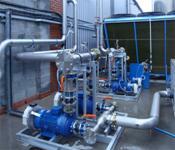 Design of LPHW, steam, chilled water, glycol, methanol and various other specialist fluids. Full project management including detailed general arrangement and schematic drawings. Development of P & I D drawings. Water, steam and other fluid pipework. Installation of pumps and tanks, etc. Design and installation of process equipment. Installation of chillers, heat exchangers, fluid coolers and various type of process equipment. As fitted drawings and operating/maintenance manuals. Our Service Dept. offers a variety of maintenance and service agreements using the most up to date tools and equipment. Each service agreements can be tailor made to suit the requirements of your manufacturing operation and equipment. We can also offer a breakdown / callout service that can be extended to cover 24 hours per day, seven days per week. Air Conditioning Maintenance Schedules, normally based on 2 visits per year. 1 x pre-summer visit and 1 x post summer visit. Annual maintenance visits—1 x major / 3 x minor evenly spaced through out the year. Monthly maintenance visits— a set number of days per month depending upon use and quantity of equipment. Survey work and conceptual design of client’s requirements. Detailed design and application suggestions of various types of refrigeration systems. Specialist advice on commercial and industrial applications. Detailed system, pipework and equipment design. Small, chiller and freezer rooms. Large chilled and cold storage buildings. Low temperature specialist storage and control applications. Ammonia freezing and chilling plant. Development of design and installation schematic drawings. On site installation work including water and DX refrigerant pipework. Installation of screw and reciprocating compressors DX and flooded systems R507, R404a and Ammonia systems. 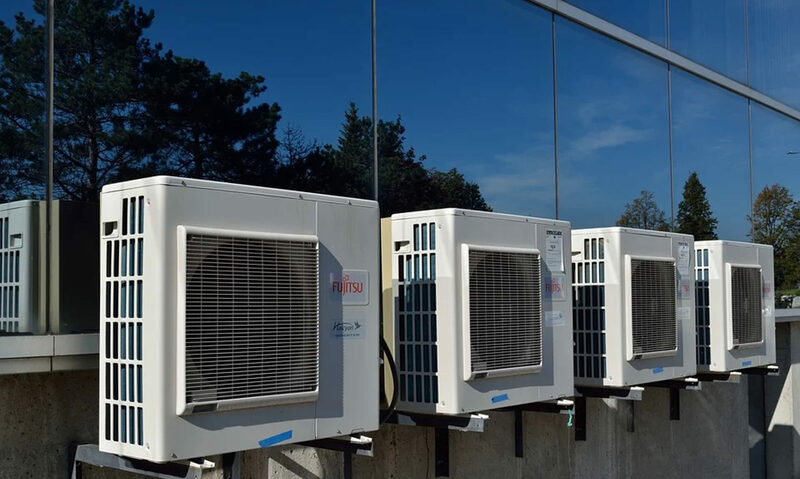 Detailed design and application suggestions of various types of air conditioning systems. 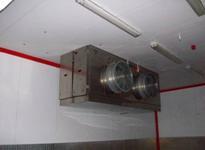 Detailed system, pipework and ductwork design. Design of the following types of system. Air handling unit with chiller or condensing unit combinations. On site installation work including chilled water and DX refrigerant pipework. Copper and steel refrigeration work. 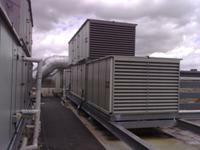 Installation of Rooftop units, chillers, air handling units, split units and VRF systems.